There’s nothing better than being out on the open plains, knowing you’re the only people for miles. 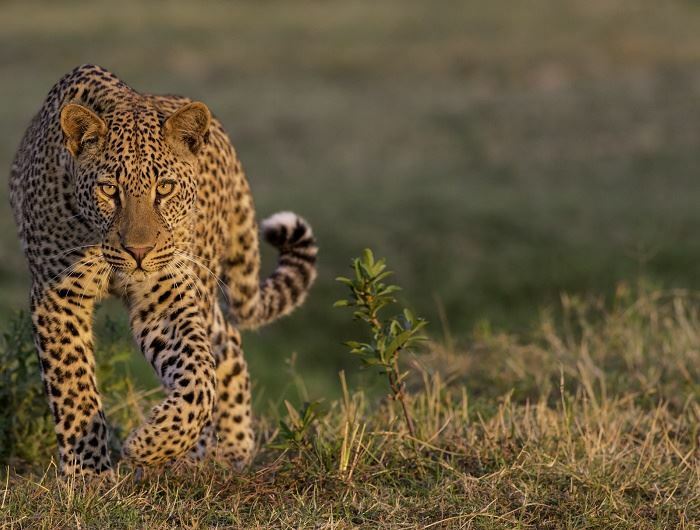 That’s why we keep returning – the remote wilderness offers an intimate setting, where tourist trucks are replaced with dozing lions, elegant leopards, and a myriad of game everywhere you turn. 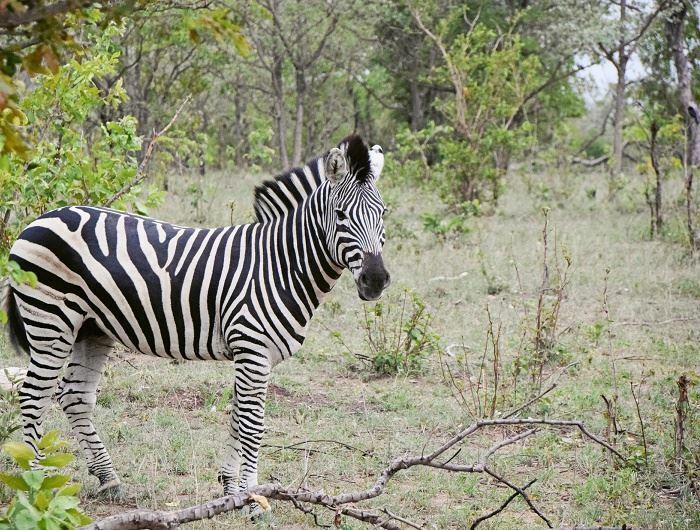 Zambia is abundant in wildlife. 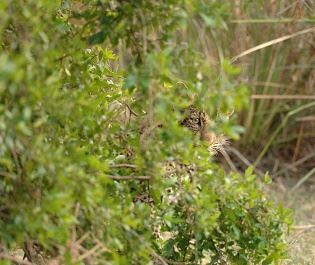 If you’re hoping to see lions, leopards and diverse birdlife, South Luangwa National Park is the place to be; we love travelling through the sweeping plains and along the river in search for wildlife. 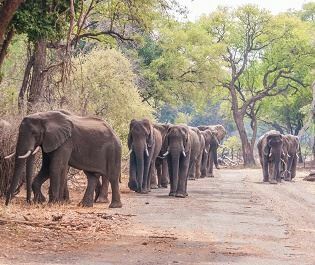 This is where walking safaris originated too, and many years later this is still one of our favourite parks for exploring the bush on foot. Once the more well-known game has been ticked off the list, we’ll help you discover unique creatures. 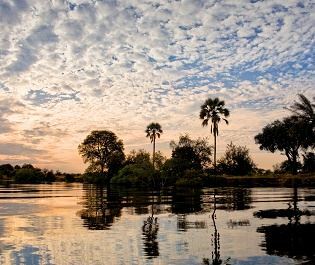 Kasanka National Park is home to a plethora of fruit bats and semi-aquatic antelope, whilst you’ll find black lechwe in the Mangweulu wetland, and blue wildebeest in Liuwa Plain National Park. 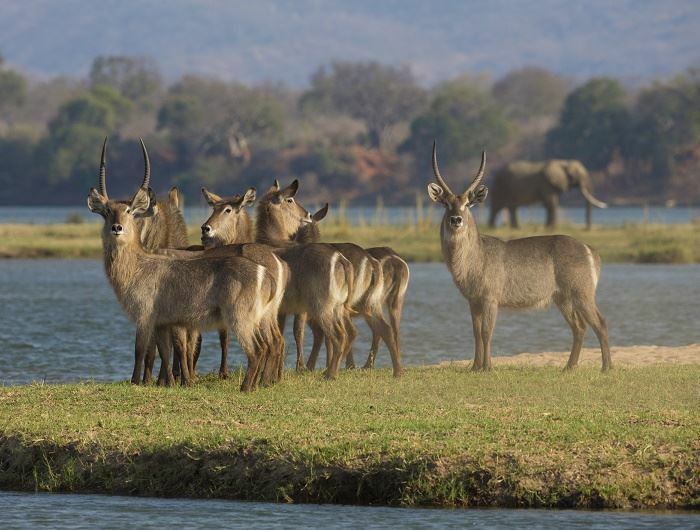 The wild dogs are a favourite with our team – and we’ve found plenty in Kafue National Park. 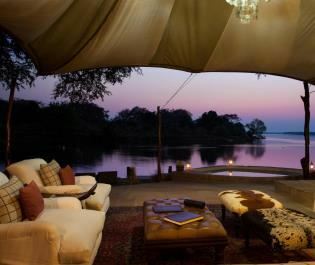 Zambia’s best kept secret, the Liuwa Plains, is well worth venturing to – it’s very quiet despite being host to the second largest wildebeest migration in the world. 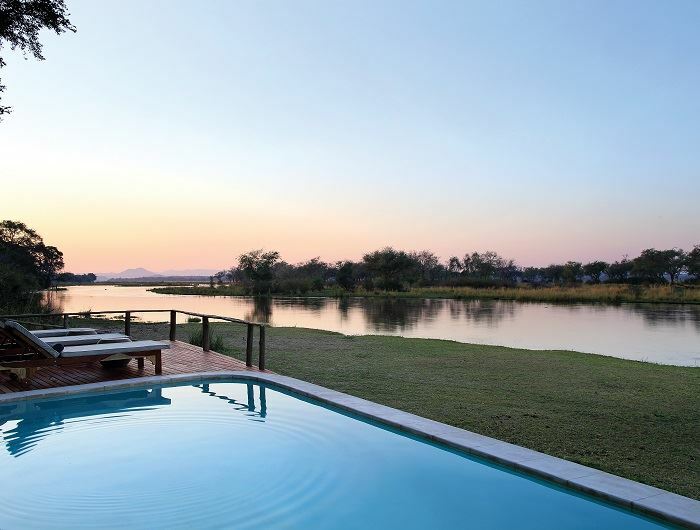 Isolated and unspoilt, we love this area, and it’s certainly not to be missed. 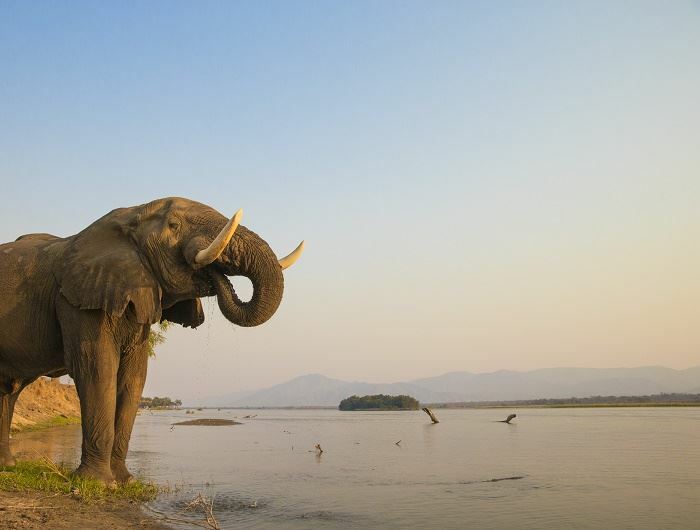 We love discovering new safari experiences, and canoeing along the lower Zambezi River offers close proximity to hippo, crocodiles and elephants. Contrastingly, the upper Zambezi River’s wild rapids make for some of the best rafting we’ve ever experienced. 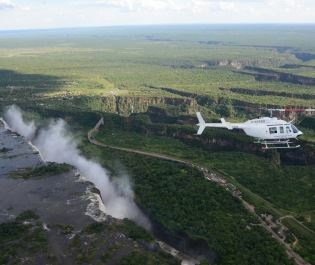 The cascading Victoria Falls, which lies across the Zambia and Zimbabwe border, is Zambia’s impressive outdoor playground, offering exhilarating bungee jumping, abseiling, and even boogie boarding, as well as being one of Seven Natural Wonders of the World. 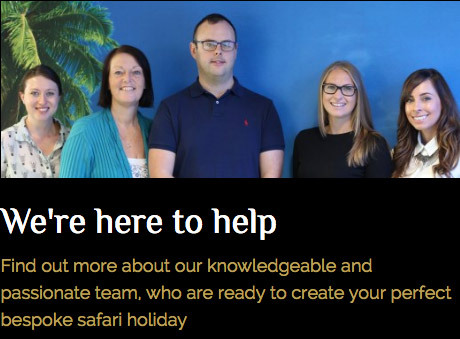 This African country is a wonderful wilderness full of wildlife, small rustic camps, and a down-to-earth atmosphere, and our team can’t wait to share their love and knowledge for this peaceful part of Africa with you. 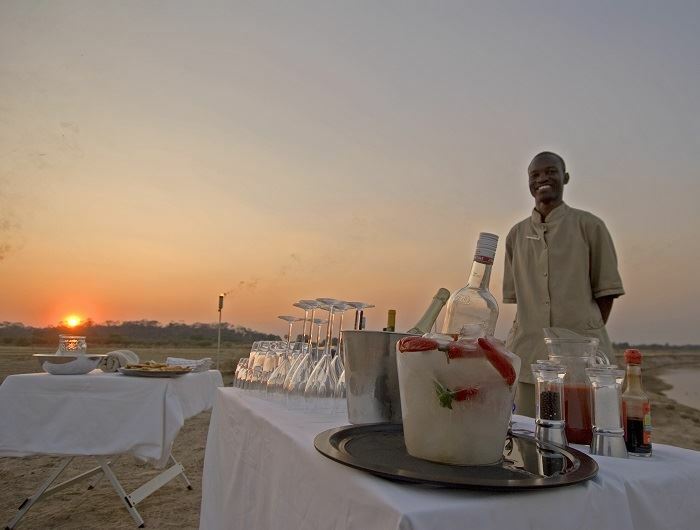 Our Top Five Reasons: Why visit Zambia? 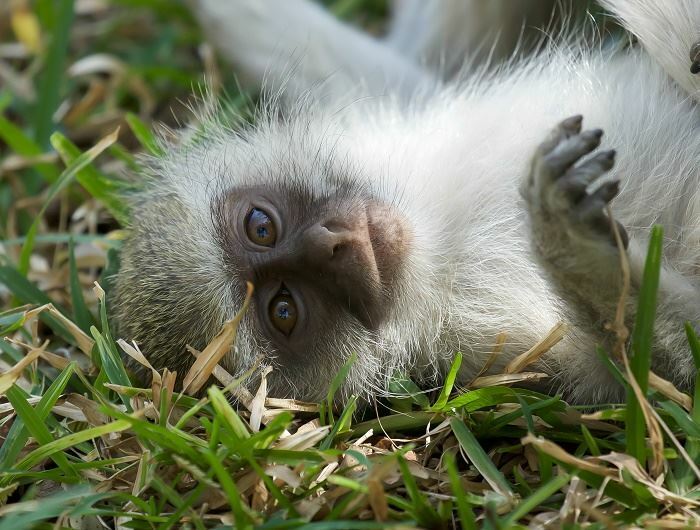 Zambia’s landscapes are brimming with diverse wildlife, including fruit bats, vervet monkey, and even blue wildebeest. 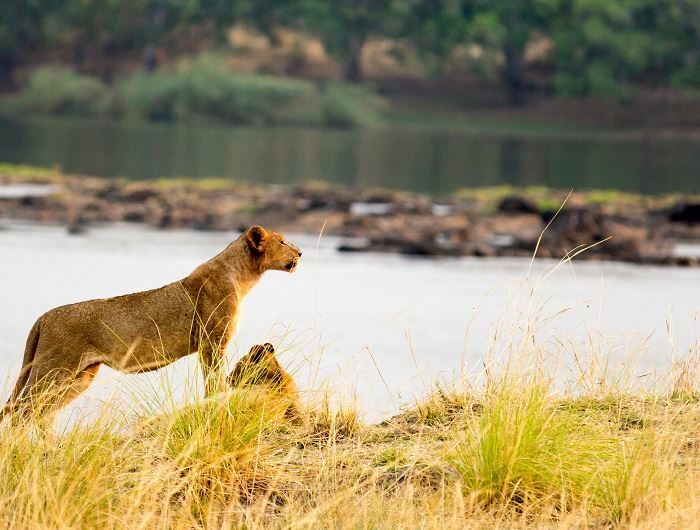 Discover Kafue National Park, home to endangered wild dogs and incredible cheetah sightings. 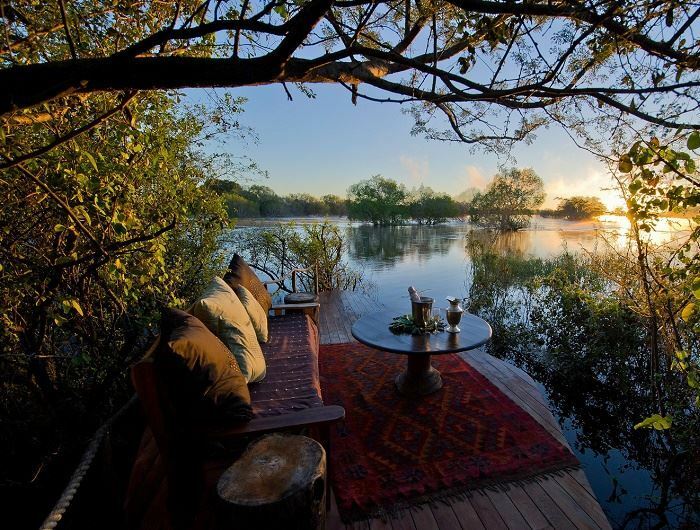 Canoeing along the lower Zambezi River nearby lazing hippo and crocodiles is a breath-taking experience. 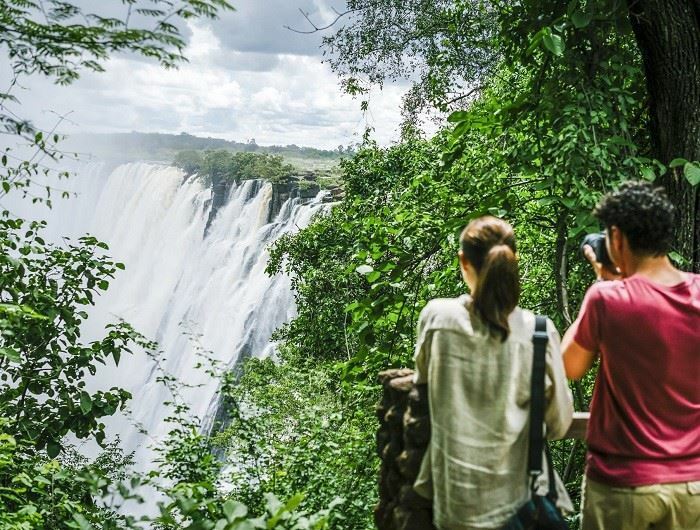 You’ll have the chance to explore Victoria Falls, one of the Seven Natural Wonders of the World, where you can raft, bungee jump and abseil. 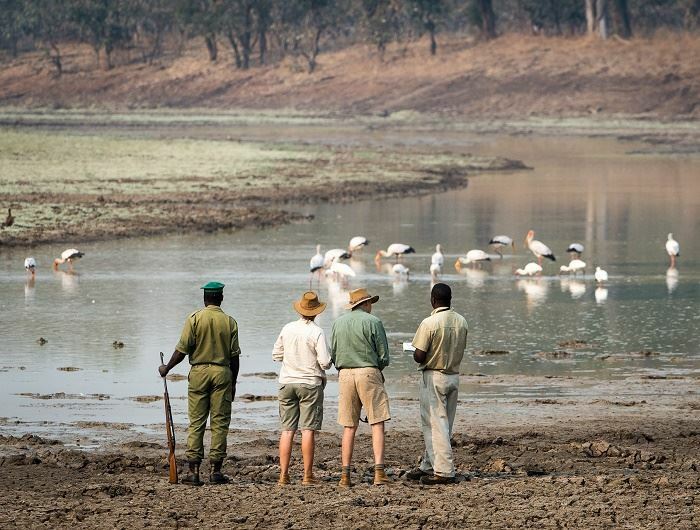 Nature lovers will love South Luangwa National Park, where walking safaris first originated and the wildlife is rife. 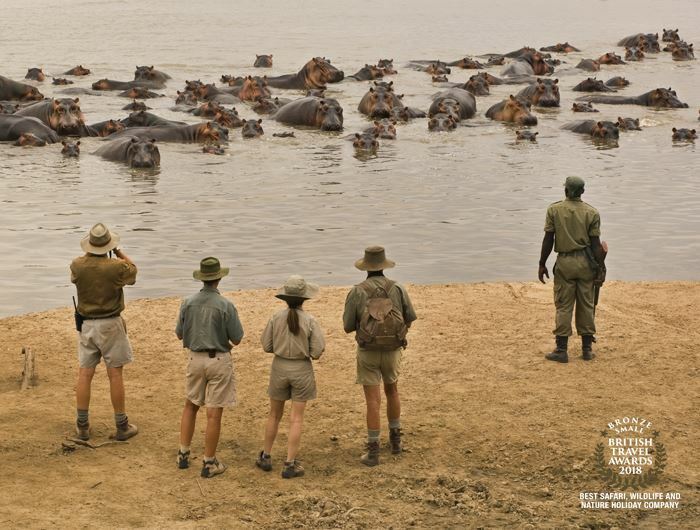 Some of our best wildlife sightings have taken place in Lower Zambezi National Park, a remote area home to hundreds of crocodiles, hippo, kudu and more. 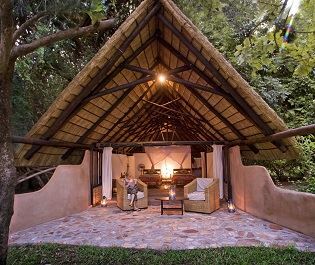 Abundant in endemic animals and delving into the rich history of the 1970’s; this is one of our most fascinating lodges to discover. 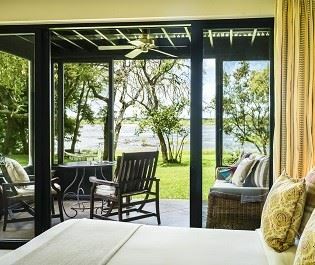 Nestled on its own private isle in the Zambezi River, the charming chalets here are utterly romantic. We love the idyllic activities on offer here, too. 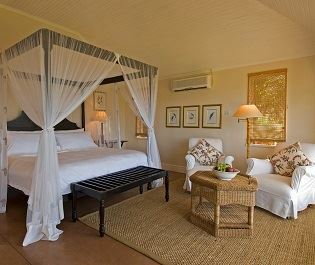 Complimentary access to the Victoria Falls is only one of the reasons why this lodge feels so indulgent. 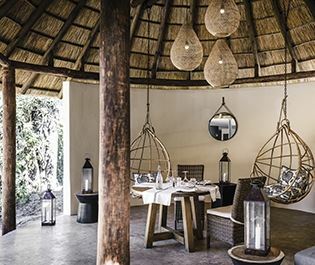 From the pool to the massage gazebo, you’ll feel like royalty here. 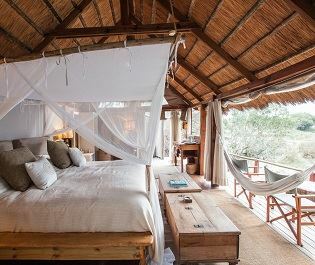 Luxurious tree houses perched only five minutes upstream from Victoria Falls; this is one of our most spectacular lodges perfect for active travellers.